Name of a Sahabi who participated in thebattle of Badr. 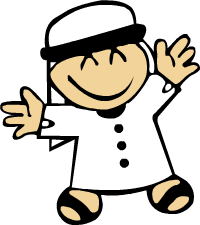 Tullaab is an Arabic name for boys that means students, seekers, it is the plural of Taalib. Tumaim is an Arabic name for boys that means little sea, it is the diminutive form of Tamm (sea). Turaj is a Persian name for boys that means brave. It is the name of the founder of the kingdom of Turan in Central Asia, mentioned in Persian mythology. Turas is an Arabic name for boys and girls that means inheritance. The word Turas/Turath is used in the Quran in verse 89:19. Tuwaij is an Arabic name for boys that means little crown. It is the diminutive form of Taj (crown). Tuwailib is an Arabic name for boys that means seeker of knowledge, student. It is a diminutive form of Talib.